While the Phalaenopsis orchid ranks as one of the most beautiful orchids in the genus, let’s face it, it has become ubiquitous. What is going to make your residential or corporate lobby or office space look distinctive? The consensus among designers is that a shift, from simply plunking down a Phalaenopsis orchid to make a design statement, will take place as residents and tenants decide they want to see more variety when it comes to bringing nature inside to complement the décor. My clients want to see a change-out of types of containers, cachepots and vases during the year and they want to see the varieties of flowers and branches that the seasons bring. 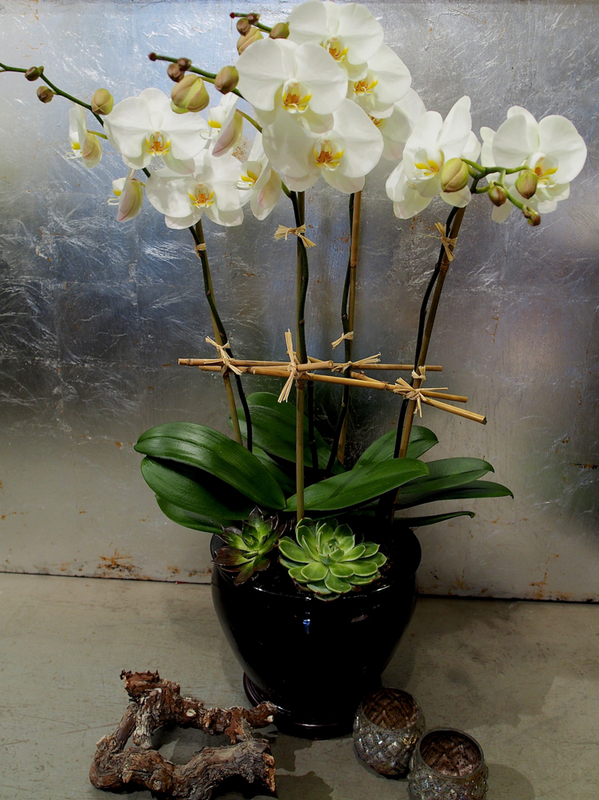 While the orchid “solution” may be a bit more cost effective, in properties that are legacy buildings, landmarked buildings, or contemporary spaces that go all out to create the wow factor, it makes sense for the florist to provide a more exciting presentation whilst still selecting types of plants and flowers that provide longevity. If you want to bring more of a design statement into the space, if you agree that you still want to see the beloved Phalaenopsis orchid from time to time - but not continuously each season- presented in a distinctive cache-pot rather than the moss-filled glass square seen everywhere, then let’s talk about some new ideas for your space.